After two years of investigation, Special Prosecutor Robert Mueller issues a report saying that he cannot conclude either way whether President Donald Trump committed a crime. In the delusional world of Trump and his Kool-Aid drinking cult supporters, that's a win! Mr. Trump has been "exonerated"! Of course, they ignore the specific admonition by Mueller that the report did not exonerate Trump of committing crimes. the Russians? Adam Schiff and the Democrats were wrong! The liberal media were wrong! They all need to apologize! Now! The problem is Mueller issued no such finding. His finding (which we only know thus far from Attorney General Barr's summary of it) was that he could not find evidence to support the notion there was a criminal conspiracy between the Trump campaign and the Russians. Collusion and criminal conspiracy are not synonymous terms. To prosecute someone for criminal conspiracy there has to be significant evidence that two actors planned and coordinated their illegal activities. Just having meetings or conversations is not enough. The Trump Tower meeting at which Donald, Jr. tried to get dirt on Hillary Clinton from the Russians was unquestionably an attempt by members of the Trump campaign team to collude with the Russians. But pretty much everyone knew, including the maligned Schiff, that that act of attempted collusion (and others) was not enough for a criminal conspiracy. It was up to Mueller to see if there was more there than clumsy attempts by the Trump campaign to collude with the Russians. 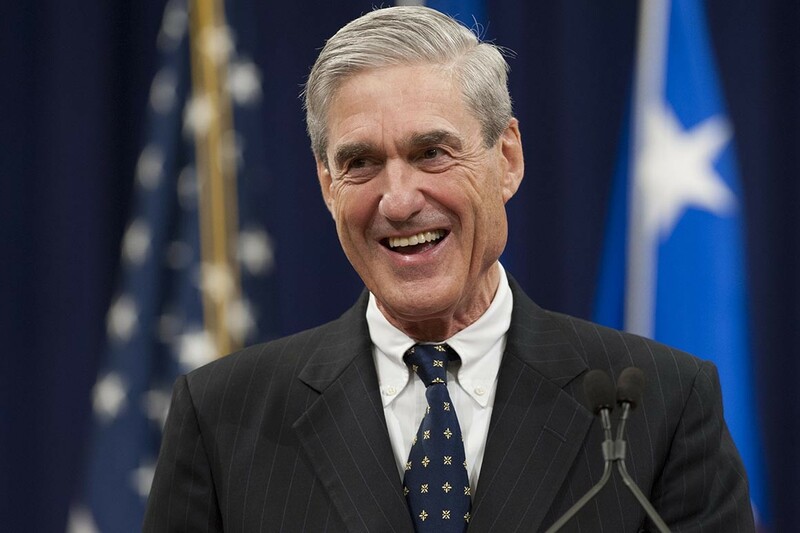 Mueller did not find evidence that would support criminal conspiracy and, not having seen the report, I have no reason to dispute that conclusion. Nonetheless, that Trump campaign officials would have numerous meetings/conversations with a hostile foreign power trying to influence our election and fail to report any of those contacts to the FBI should give everyone pause. As far as obstruction of justice, President Trump did pretty much everything he could to undermine the investigation. But obstruction of justice was an issue that always should have been left up to Congress and the impeachment process as those were actions taken after he assumed office. A criminal indictment for obstruction of justice was never going to happen to a President. A writer for one Trump pro-publication is trying to spin Donald Trump as Washington's "boy scout." Not sure if the writer is aware keeping oneself "morally straight" is part of the Boy Scout pledge. Nonetheless, anyone who has followed the failed businessman, successful reality TV star's career knows that Donald Trump has been a two-bit con artist his entire adult life. As President, he has proven beyond a shadow of a doubt that he is completely unfit for the office. Probably Trump's biggest con has been convincing his supporters that he is actually having a successful Presidency. Back in the real world, by pretty much any measure Trump's presidency has been a train wreck. I can't think of any President who has accomplished less in office. Okay, maybe William Henry Harrison. Sadly, every conservative principle I've ever believed in and fought for is now being attached to this very flawed and morally corrupt individual. And I know there will be consequences. Democrats and socialism won on November 8, 2016. It will take real conservatives at least a generation to rebuild the movement and the GOP after the Trump personality cult has ended. And it will end. The only question is how much damage to the conservative movement and the Republican Party will be done before it is over. If there was no crime, then how could there be any obstruction of justice. Wouldn't it be obstructing exoneration. And what about the fraud on the FISA Court? Isn't that the real crime? It took 80 years or so for the Soviet Empire to collapse under its own weight, but lots of remnants of communism remain there. Once North America goes down the dark path of communism (socialism = same thing), with China, North Korea, and all of the other smaller Marxist governments around the world, we are only a few small steps from global socialist government. And WE will NOT be the ones in charge. How’s your Mandarin? As any criminal defense lawyer will tell you, you most certainly can obstruct justice even if the crime investigated is not prosecuted. Think about it...what if the obstruction of justice is so successful that the underlying charge can't be pursued. You think the person gets off the hook then? Nope. I don't think we should celebrate a the campaign for a presidential campaign taking a meeting with a hostile power to get dirt on a political opponent. The Trump campaign had repeated contacts with the Russians and did not report them to the FBI. If Obama or Hillary pulled that stunt, Trumpers would be screaming their heads off...and rightfully so.